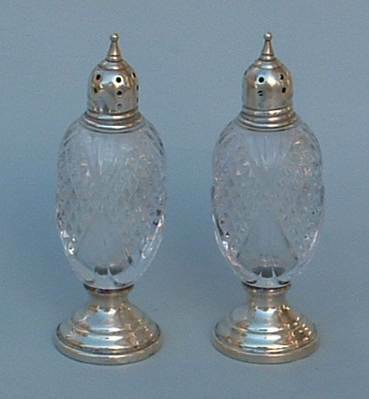 this pair of cut glass salt and pepper shakers has silver base and cover. 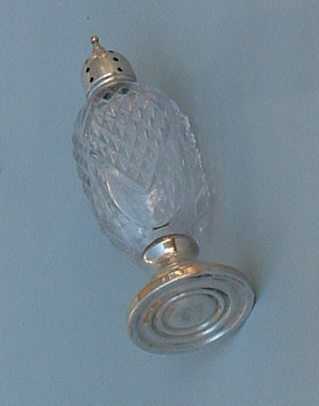 It is marked STERLING WEIGHTED and what looks as a variety of Sheffield Silver Co. N.Y. hallmark. The couple of salt and pepper is 4 1/2 in. high (cm. 11,5) and was bought from an Italian dealer at an Antique Market.